All the disinformation being spread about Ebola by the U.S. government and the complicit mass media will unfortunately make the Ebola pandemic far worse. That's because the public isn't being told the truth about how Ebola spreads and how individuals can help prevent transmission of the disease. At every level of media and government, protecting the financial interests of drug companies appears to be far more important than protecting public health. So people aren't told the truth about how Ebola spreads and how they can increase their ability to survive a global pandemic. This lie was shattered just this week when the CDC confirmed Ebola in a hospital patient in Dallas, Texas. "...it appears several people were exposed before the individual was placed in isolation, and it is quite possible that one or more of his contacts will be infected," he added. What's more, he conceded that it was "only a matter of time" that the swift-killing African virus arrived in the U.S. This outrageous medical lie may soon cost the lives of millions of innocent people. In truth, Ebola can spread through the air over short distances via aerosols - airborne particles. Ebola can also spread via contaminated surfaces. When an infected patient makes contact with a surface such as a doorknob or ATM keypad, they may leave behind the Ebola virus which survives for many minutes or hours in the open, depending on environmental conditions (temperature, humidity, etc.) Another person who touches the same surface may then become instantly infected by simply touching their own eyes, nose or mouth. The ability of Ebola to spread via contaminated surfaces is why victims in Africa have become infected by riding in taxi cabs. This also means any form of public transportation -- airplanes, ambulances, subways -- may harbor the virus and accelerate the spread of an outbreak. Like all viruses, Ebola is destroyed by sunlight. But it can remain viable for a surprisingly long time in environments where sunlight never reaches -- such as underground subways, which are the perfect breeding grounds for viral transmission. The overarching lie about Ebola that's being repeated by the U.S. government is "Don't worry, we have it under control!" Of course, the fact that an infected Ebola victim just flew right into the country with Ebola, then walked around the city of Dallas for 10 days while carrying Ebola, utterly belies the false promises of health authorities who claim to have things under control. In truth, Ebola is completely out of control which is precisely why its sudden appearance in a Dallas hospital surprised nearly everyone. The sobering fact of the matter is that despite all the money being spent on "homeland security," DHS has no way to stop Ebola from walking right into the USA, including on foot from our wide open southern border. If the U.S. government has everything under control, then why did the government just purchase 160,000 Ebola hazmat suits? Why did Obama just recently sign an executive order authorizing the forced government quarantine of anyone showing symptoms of infectious disease? While the public can be easily lied to and told everything is under control, behind closed doors at the highest levels of government, everybody knows this pandemic could rapidly become a global killer that no one can stop. 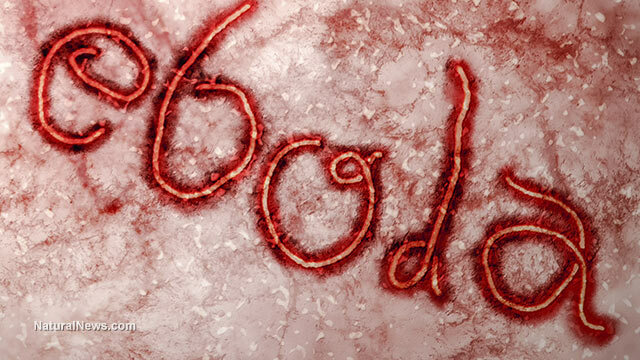 This lie may get millions of people killed if the Ebola outbreak gets worse. In a desperate bid to make sure Ebola generates billions of dollars in profits for vaccine makers and pharmaceutical companies, the CDC, FDA and even the FTC routinely censor truthful information about natural treatments that might hold promise (such as colloidal silver). Companies that offer extremely beneficial essential oils and colloidal silver products have already been threatened with criminal arrest and prosecution by the FDA. The mainstream media remains complicit in the systematic oppression of natural cures, printing the FDA's propaganda while completely avoiding any balanced reporting that might highlight the extraordinary anti-viral capabilities of many medicinal herbs as I've described in Episode Six of Pandemic Preparedness. If we really want to stop the spread of this viral pandemic right now, both government and the media should be urging citizens to boost their immune defenses by consuming more nutritious foods, herbal spices, superfoods and anti-viral plants (which include peppermint, basil, rosemary, cinnamon and oregano, just to name a few). Everyone should be immediately urged to make sure they have sufficient vitamin D circulating in their blood, and those who have low vitamin D -- which includes just about everyone in America today -- should be urged to take vitamin D supplements. But instead of urging the public to enhance their immune function and boost their natural defenses against Ebola, everyone is ridiculously told to "wash your hands" and wait around for a drug company to introduce an Ebola vaccine. The modern-day version of Ebola that's so aggressively circulating today may actually be a bioengineered virus, according to one scientist who wrote a front-page story in Liberia's largest newspaper. [Horowitz] confirmed the existence of an American Military-Medical-Industry that conducts biological weapons tests under the guise of administering vaccinations to control diseases and improve the health of "black Africans overseas." Further supporting this genetic engineering research claim, the U.S. government patented Ebola in 2010 and now claims intellectual property ownership over all Ebola variants. That patent number is CA2741523A1, viewable at this link. Read more about the patenting of Ebola and control over its research in this Natural News article. This means the U.S. government claims all control over Ebola research, too, because any research project involving replication of the virus would violate the government's patent. In fact, the vastly improved transmission ability of the Ebola strain currently circulating (compared to previous outbreaks in years past) has many people convinced this strain is a "weaponized" variant which either broke through containment protocols at government labs or was intentionally deployed as a population control weapon. It appears he may soon get his wish. If the current Ebola explosion continues, the global population may be in serious jeopardy and many millions could die.